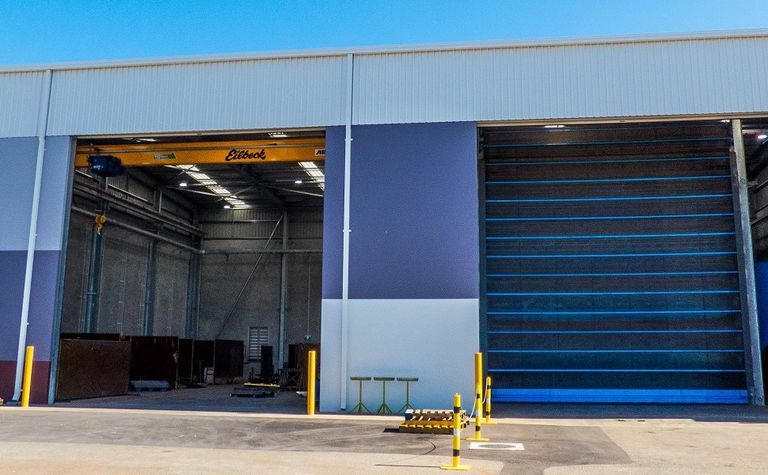 Murray Engineering mechanical manager Shane Dunn says the company is already seeing significant benefits from its recent $2 million investment in new blastshed and undercover fabrication facilities at its Pinjarra headquarters. 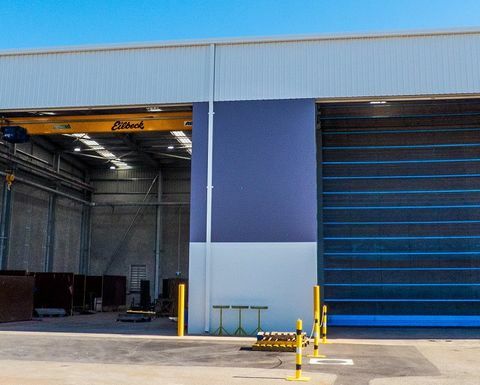 He says bringing full control of the equipment rebuild and blasting and painting cycle in-house is delivering sought after productivity and quality gains, and Murray is moving toward new Steelwork Compliance Australia certification levels. It already has CC2 SCA certification and is close to finalising the even rarer (Australia-wide) CC3 certification. The new blastshed started with a single blaster and now has two. Dunn says the facility and crew have been working around the clock to meet demand. Murray wanted to train its own team and use its ISO 9001 certified processes to improve control of its equipment-finishing work standards, speed the work and make all of its workflows seamless. "The demand for blasting has gone up by 100% and our external suppliers have found it hard to keep up," Dunn said previously. "We blast a lot of our process steel for construction, and strip all the [rebuild] machines down to the chassis and do all the spray-paint preparation, including the blasting and crack testing, etc. The shot material is made from recycled steel, and is continually separated and reused after blasting, making the process efficient. "Having a one-stop-shop gives us complete control over lead times and quality, and prioritisation of jobs." "We've had no delays on any blasting projects at all, and the quality has improved"
He says the commissioned blastshed has produced the goods. 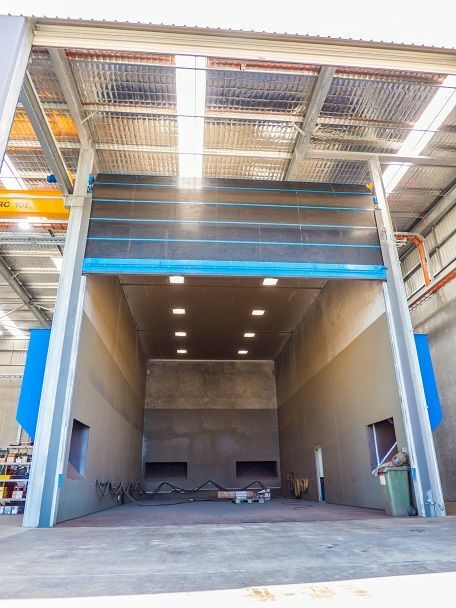 "We've had no delays on any blasting projects at all, and the quality has improved because we pretty well go from blast into paint, whereas previously we were reliant on our suppliers to get it back from their shop to us in a reasonable time to get it into paint. "With some of our paint specifications you are required to have a primary coating on the product within four hours, so leaving it out over night to gather moisture is not an option. "We've got better control over different job cycles and having control of the whole process ensures on-time deliveries."